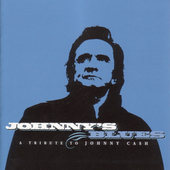 Various blues/rockabilly/gospel artists pay tribute to Johnny Cash... Johnny Cash's music is America, and what better way to celebrate his music than through the music that started it all, the blues. 13 all new recordings including contributions from Chris Thomas King, Maria Muldaur, Gatemouth Brown, Alvin Youngblood Hart, Garland Jeffreys, Corey Harris, Mavis Staples many other great artists. All tracks recorded specially for this project. Includes 18-page booklet with track credits track by track commentary by the artists themselves. 'I'm wearing out my shoes, but I'm walking the blues away'- Johnny Cash. Northern Blues Music. 2003.